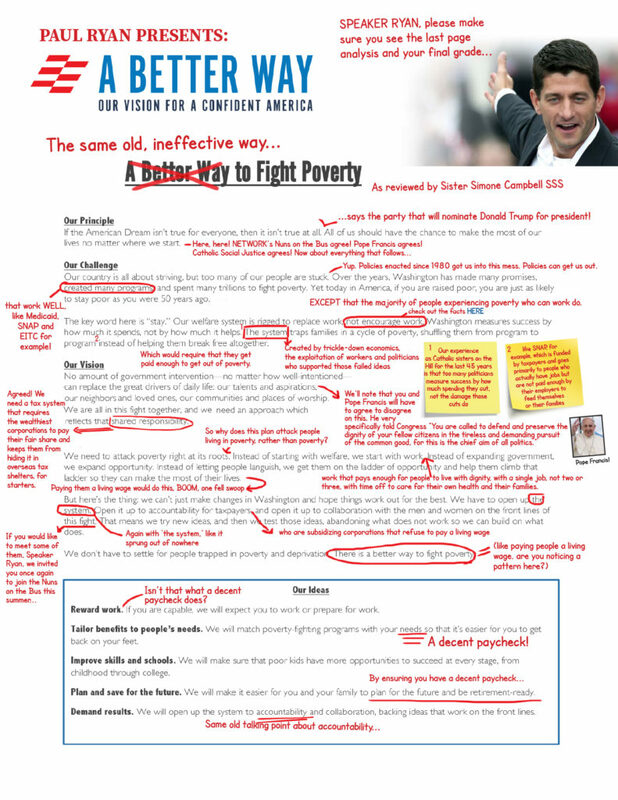 What to Do about Paul Ryan’s Poverty Plan? 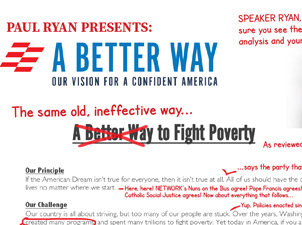 Paul Ryan released his so-called “A Better Way to Fight Poverty” on June 7, 2016. In advance of his plan, NETWORK Lobby released a list of 10 Things Speaker Ryan Could Do to Address Poverty Right Now, but yet again, Speaker Ryan’s plan falls short. 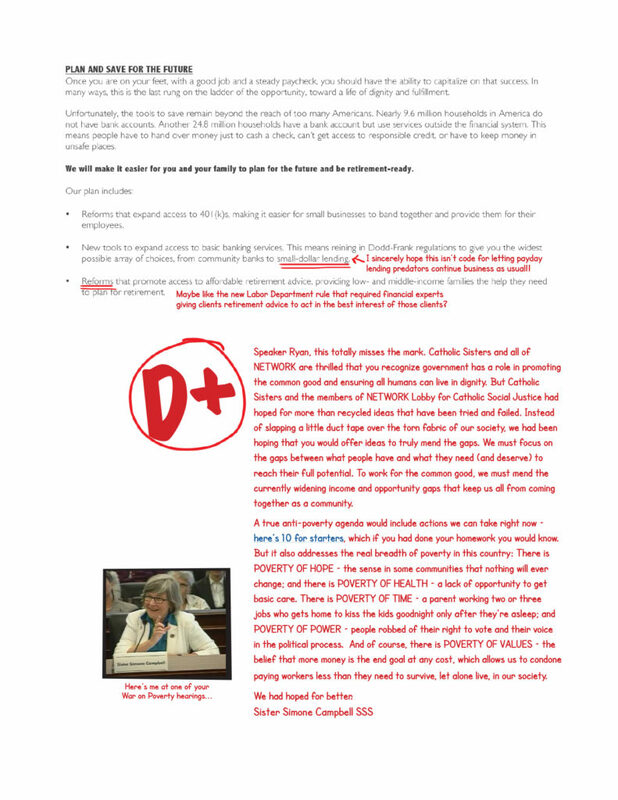 Sister Simone suggests the resounding disinterest in the Speaker’s plan stems from the fact that this is D+ work at best. 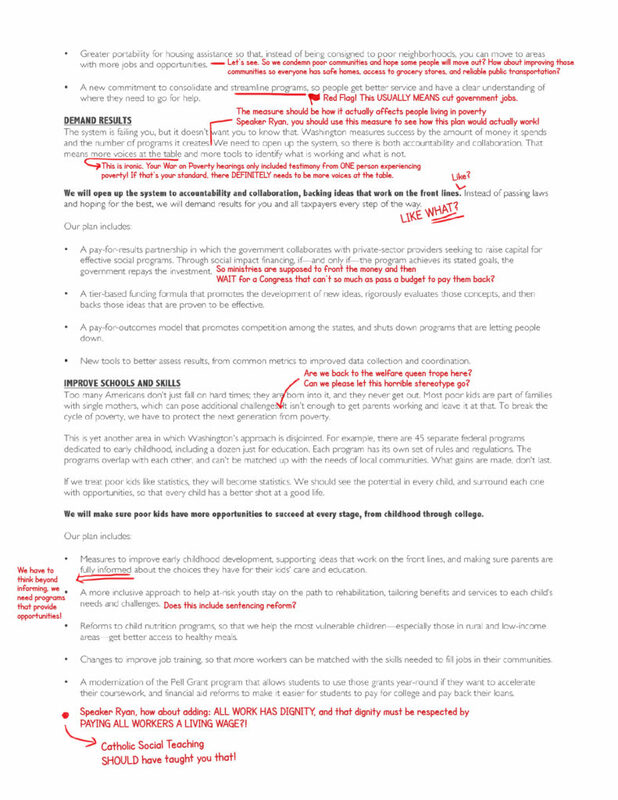 To illustrate the point – graphically, and with a little bit of sassy Sister-Spirit – Sister Simone offers this annotated, graded copy of the plan’s summary. 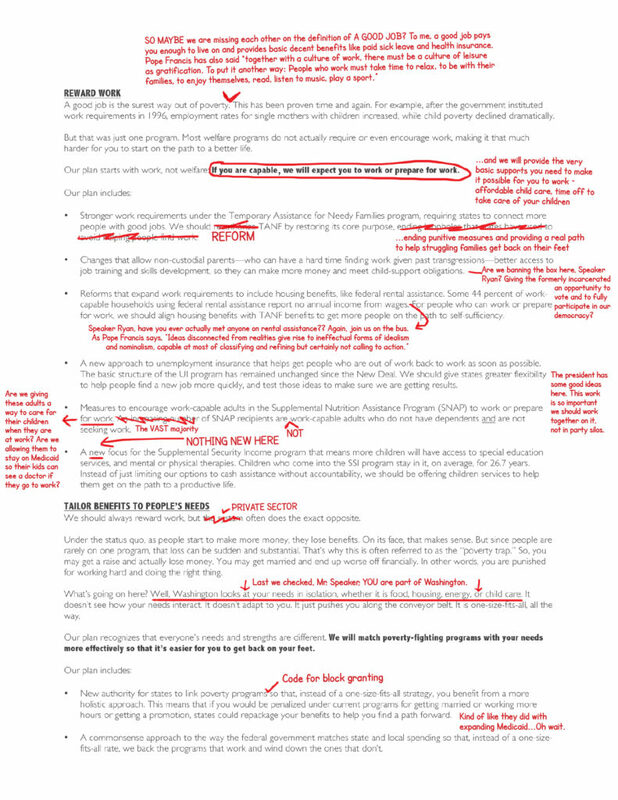 See it for yourself below, or download the PDF here. P.S. This is far from the first time Speaker Ryan has missed the mark when it comes to addressing poverty issues. This entry was posted in Budget, Food Security, Front Page, Housing, Income on June 9, 2016 by colleen.